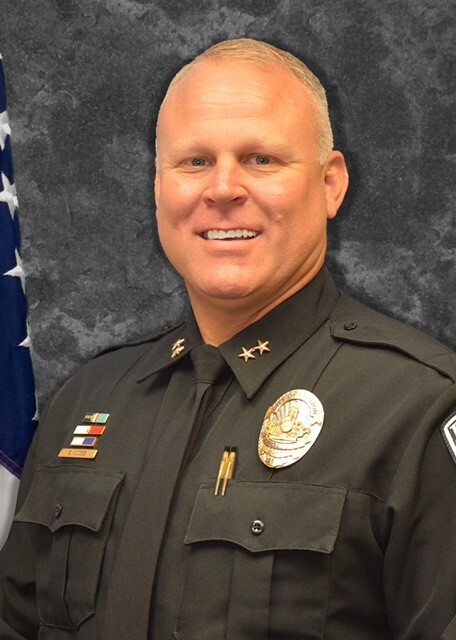 As your Chief of Police, it is my pleasure to welcome you to the Benton Police Department. It is an extreme honor and privilege to have been given the opportunity to serve the City of Benton in this capacity. The Benton Police Department is a progressive, professional law enforcement agency. It is my commitment to you, that we will continue to be the professional, proactive, well trained, community oriented department that you deserve. The men and women of the Benton Police Department are dedicated to serve and protect and are committed to providing essential police services at the highest level. We are devoted to excellence in community service and view every contact as an opportunity to build positive relationships. We take great pride in the relationships that we have built with the community and the businesses that we serve. We encourage open communication with our citizens and actively seek their assistance in working toward a positive end in addressing concerns, solving problems and crimes, but most importantly, increasing the quality of life in our community. We will continue to draw on our values and maintain our commitment to achieving a level of performance that exceeds all expectations, by going above and beyond at every opportunity. In closing, we hope that you find our web page informative and we encourage you to reach out to us. The dedicated men and women of the Benton Police Department wish to thank you for your continued support and open communication. Together we can make a difference. 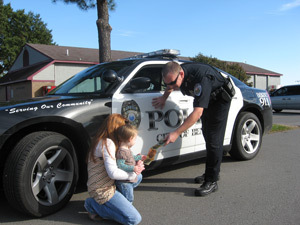 Our mission is to provide our community with a professional, progressive, community-oriented police department. We strive to serve our citizens with the utmost courtesy and concern for their needs with an emphasis on integrity and fairness. We conduct ourselves in such a manner as to instill confidence and pride in the Benton Police Department by the community. We strive to protect the constitutional rights of everyone. Our purpose is to create an atmosphere of safety and security in our community.